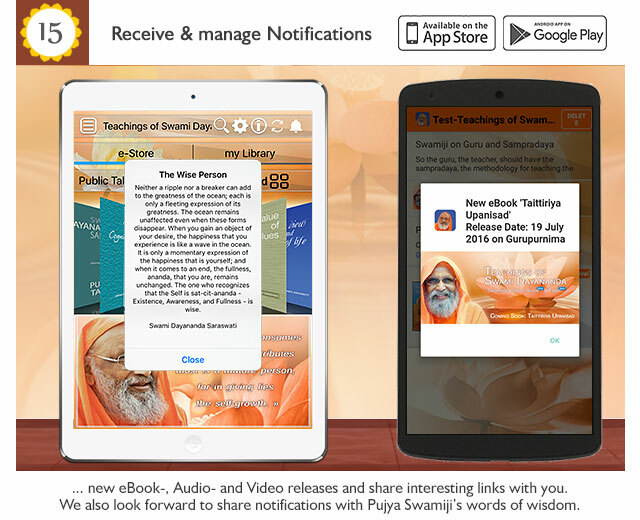 Arsha Vidya Research and Publication Trust, is happy to inform about the release of a major update of the 'Teachings of Swami Dayananda' App for Android and iOS devices. 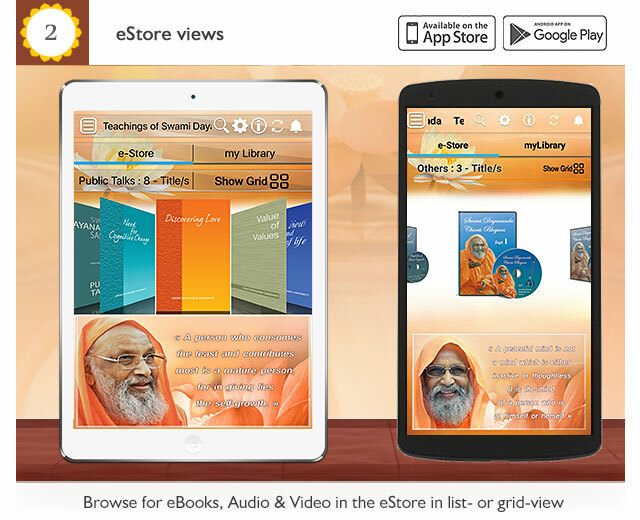 With this new version of our app you have access to all books written by Pujya Swamiji. 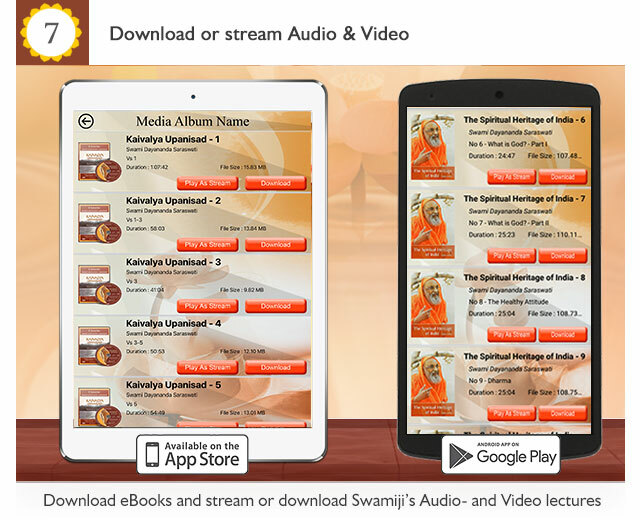 You can listen to his Vedanta classes, public talks, guided meditations, chants and compositions. 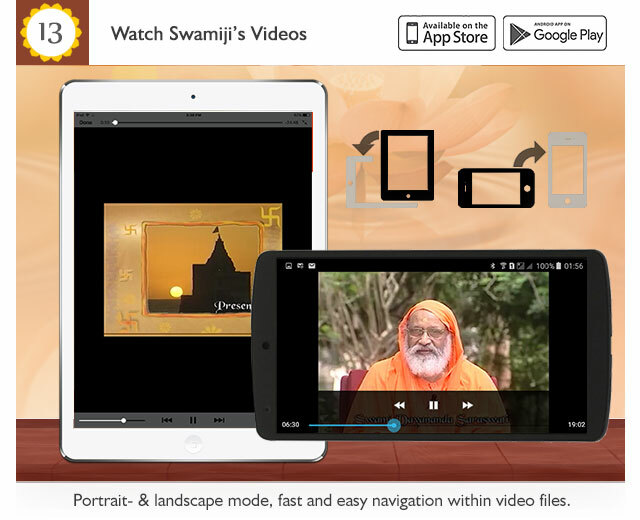 With the new video feature of the app you can watch Swamiji's entire 'The Spiritual Heritage of India' series for free. 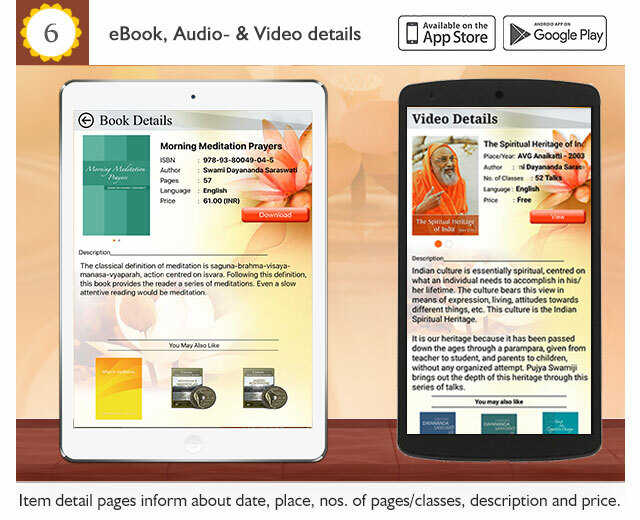 You can download the new app version from AppStore or Google Play store. 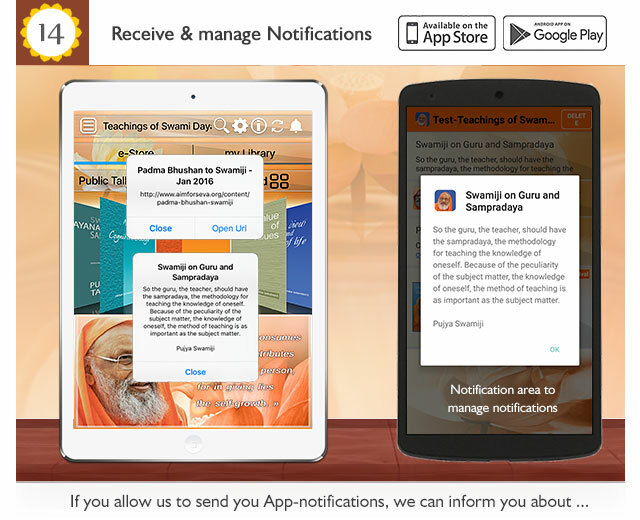 Uninstall any current 'Teachings of Swami Dayananda' app version and install this latest update. 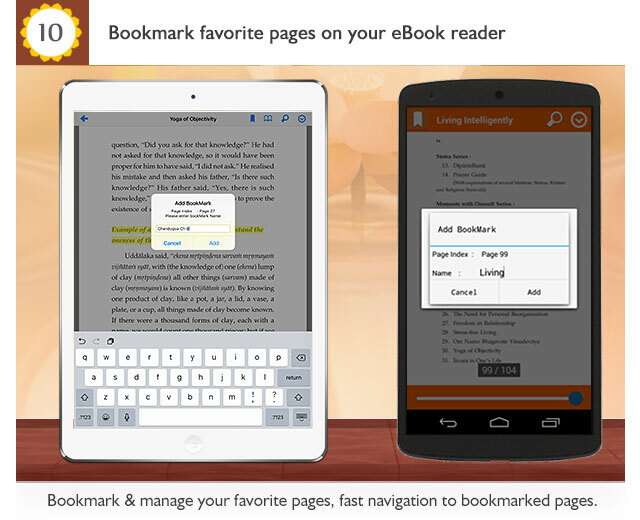 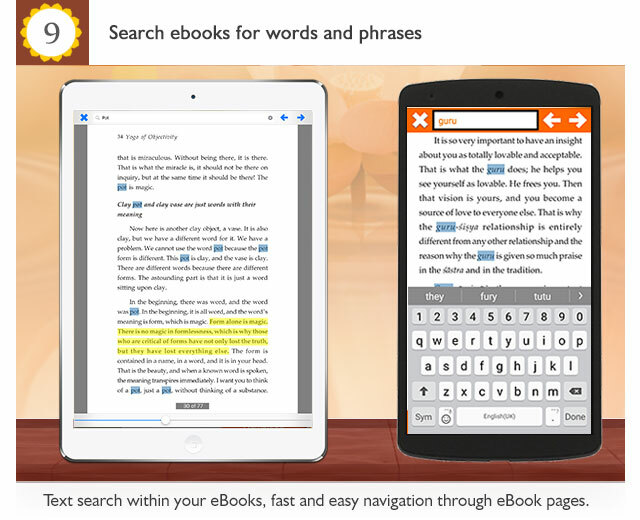 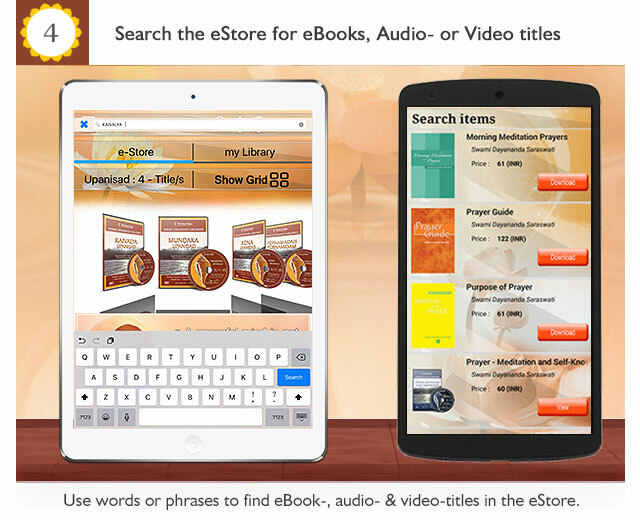 All your eBooks will be available for you in the new version also. 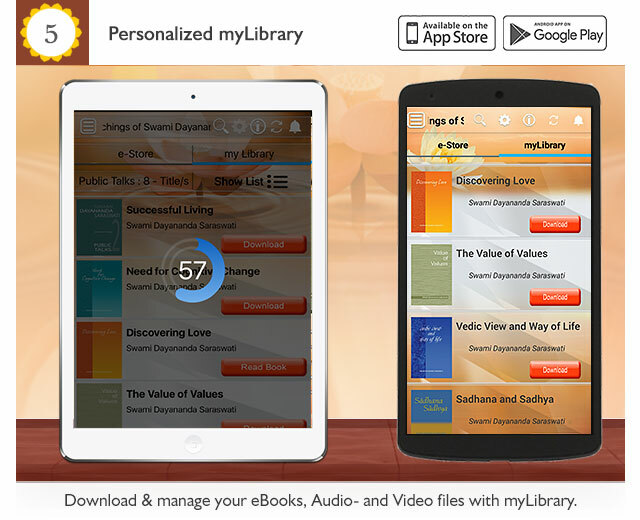 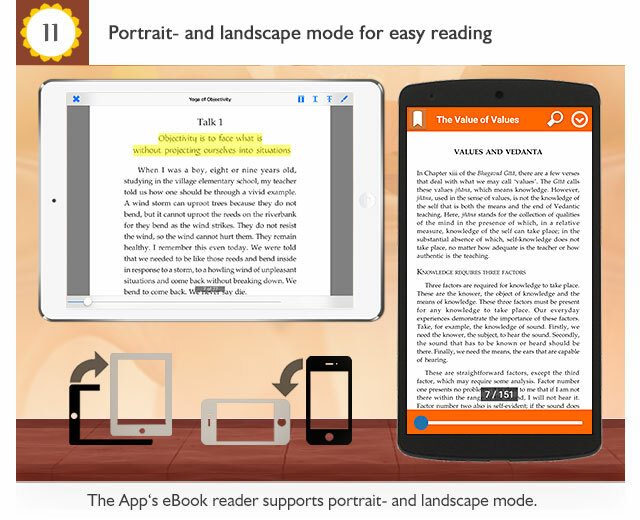 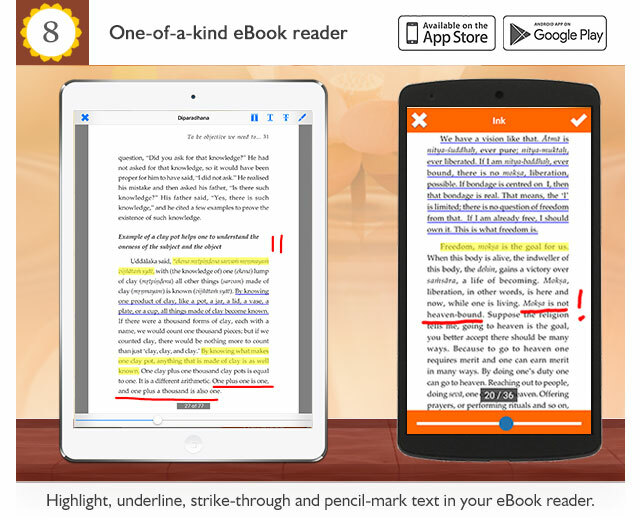 Test the new app version with free eBooks and free audio- and video-titles which are included in the release. 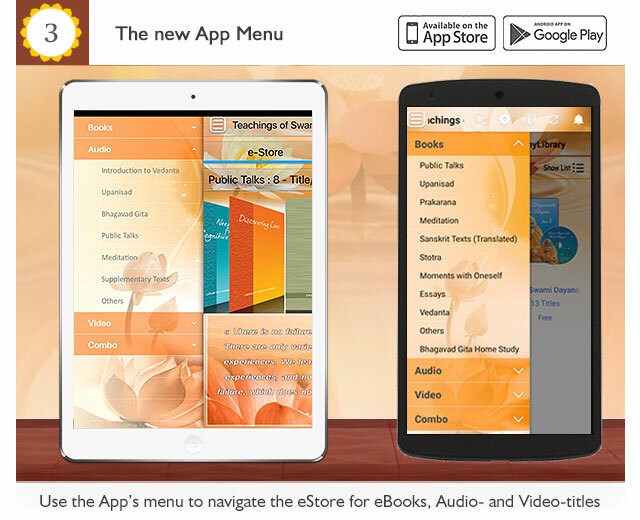 Download the updated version from AppStore (iOS) and Google PlayStore (Android). 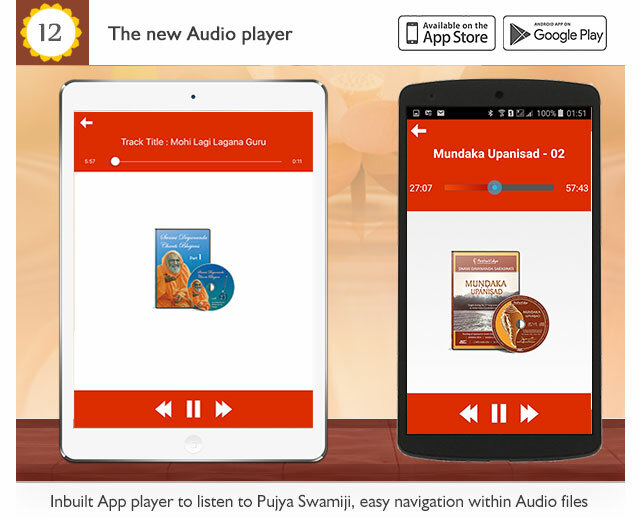 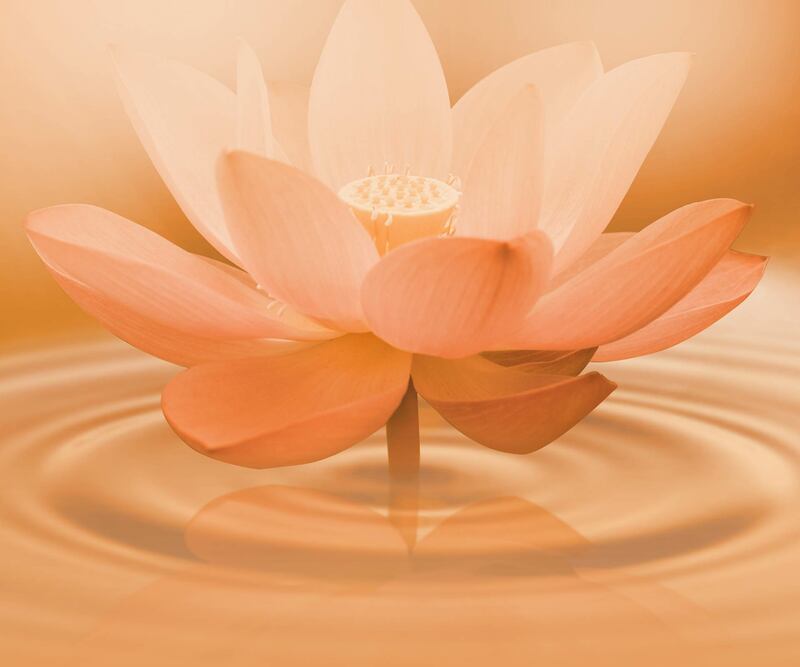 This app gives access to Pujya Swamiji's teaching material from anywhere, anytime.